Imagine being a child, lost in the woods, without your mother. You haven’t yet developed the skills needed to survive and there’s a chance that if you’re caught, you could be killed. 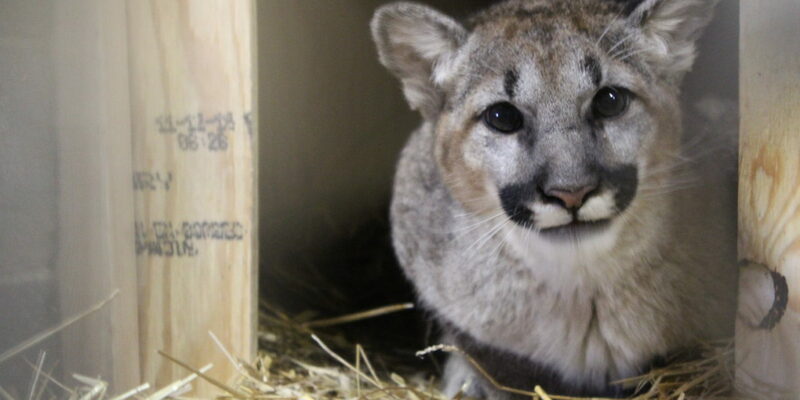 That’s the story of a four-month old cougar named Beau. Last month, Beau was discovered wandering in a Cle Elum, Washington, neighborhood. In Washington, cougars are considered nuisances and when discovered, officials are supposed to either re-house them or euthanize them. Since Beau was found at such a young age and orphaned without the guidance of his mother, the Washington Department of Fish and Wildlife had few options outside of euthanization. Officer Rich Beausoleil of the Washington Department of Fish and Wildlife took pity on the cougar cub and put out a call for an organization to adopt him. Carolina Tiger Rescue in Pittsboro answered that call. Carolina Tiger Rescue, which is celebrating its 45th year, is the only accredited big cat sanctuary in North Carolina. CTR has rescued 22 animals in the past three years, but Beau is the first baby animal it has nurtured in over a decade. His name is an homage to the officer who decided to save his life. 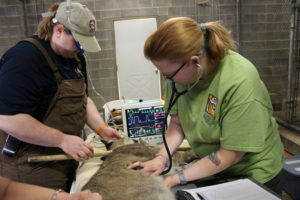 According to Carolina Tiger Rescue’s Communication Coordinator Michelle Meyers, The Wildcat Sanctuary in Minnesota also played an integral role in transporting Beau. Beau traveled from Washington to Minnesota where he was picked up by staff from The Wildcat Sanctuary that drove him to Indianapolis. There they met a transport vehicle from CTR for the long journey to his new home. Every rescue has its own story. Some of the animals at the Carolina Tiger Rescue were adopted from roadside attractions, ill-equipped owners or junkyard zoos. These “zoos” are often just a series of cages on the side of the road. Some animals rescued are those that either escaped their enclosures or were released once an owner decided their care became to cumbersome. One tiger, Rajah, was found on the side of the road in Charlotte with his sister. Each rescue has its own needs in terms of its enclosure. Some animals are more socialized than others while some are very isolated. The more socialized animals are located closer to the Carolina Tiger Rescue’s tour route while others’ enclosures are placed further in the back to prevent them from undergoing the stress of the public. Meyers notes that about 30 of the animals that live at the sanctuary are not socialized. For example, Meyers noted that one of the tigers has an issue with men in red hats, likely due to stress from his previous life. Rather than outlaw men in red hats, the organization placed his enclosure away from the route. This is just one of the ways the Carolina Tiger Rescue puts the animals first. While zoos build enclosures to allow for the best viewing by the public, Carolina Tiger Rescue creates enclosures that best serve the animal. Some of the animals are in their own enclosure while others are part of a pack. This depends on whether the animal was rescued with others or not. As many big cats come to the Carolina Tiger Rescue declawed or defanged, keeping them isolated from other big cats is a matter of protecting their lives as well. Many of the animals that come to the Carolina Tiger Rescue are very sick and may not make it six months. For those who do survive, the sanctuary offers a forever home for the animal until its passing. As is standard operating procedures for the Carolina Tiger Rescue, Beau will be quarantined for 30 days. He was provided medical care and looks very healthy, according to Meyers. 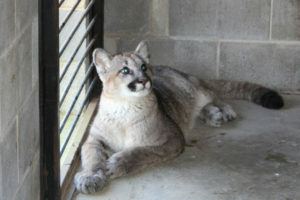 Carolina Tiger Rescue already has two cougars at the facility. Cougars are not social creatures typically and each have their own enclosure. Meyers called cougars “hiders,” noting cougars they generally don’t like people. Meyers estimates that the cost of Beau’s rescue, quarantine and new habitat will be about $20,000. The care for Beau and the other animals are extraordinary. The sanctuary’s annual food budget alone is $80,000 and that is in consideration of a great deal of food donations from farmers and hunters. As many of the animals are suffering the effects of human exploitation and the pet trade, Carolina Tiger Rescue’s medical bills are astronomical, according to Meyers. 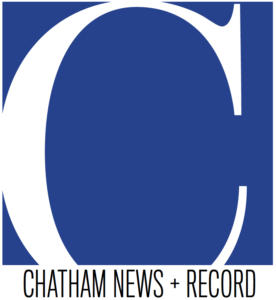 The Carolina Tiger Rescue will host its annual fundraiser, the Black Tie and Tails Ball, Saturday at Durham’s Washington Duke Inn. Organizers describe the event as a “journey through ancient cities, diverse cultures, and epic landscapes… on a virtual tour of the many Mysteries of Morocco.” There will be fine food and drink, silent and live auction items, and dancing. For more information, visit the Carolina Tiger Rescue website for the event here. NextSibling Rivalry Sports: Luke DeCock and Zion’s Choice!